To provide our customers with the best construction experience possible while creating and maintaining the trust necessary to continue long lasting work relationships. Thompson & Sitz Construction, Inc. (TSC) was formed in 1999 when the two owners, Pete Thompson and Mike Sitz, teamed up to start their own framing crew. From that point on TSC has grown and evolved to employ 200+ employees. Over the years many things have changed and TSC has grown, but one thing has remained constant: a hard work ethic and a dedication to do the job right. Mike is a co-founder and the president of Thompson & Sitz Construction, Inc. (TSC). Following his honorable discharge from the US Army in 1994, Mike attained his degree in carpentry from Northwest Technical College in Minnesota while working for a construction business as a crew foreman. He moved to Colorado in 1998 and started his own framing crew building customs and tract homes. 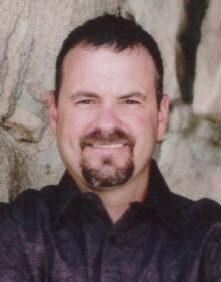 Pete is a co-founder and the vice president of Thompson & Sitz Construction, Inc. (TSC). He received his degree in carpentry from Northwest Technical College in Moorhead Minnesota while working as a framing crew foreman. In 1997 Pete moved to Colorado to start his own framing business which he ran until forming TSC in 1999.